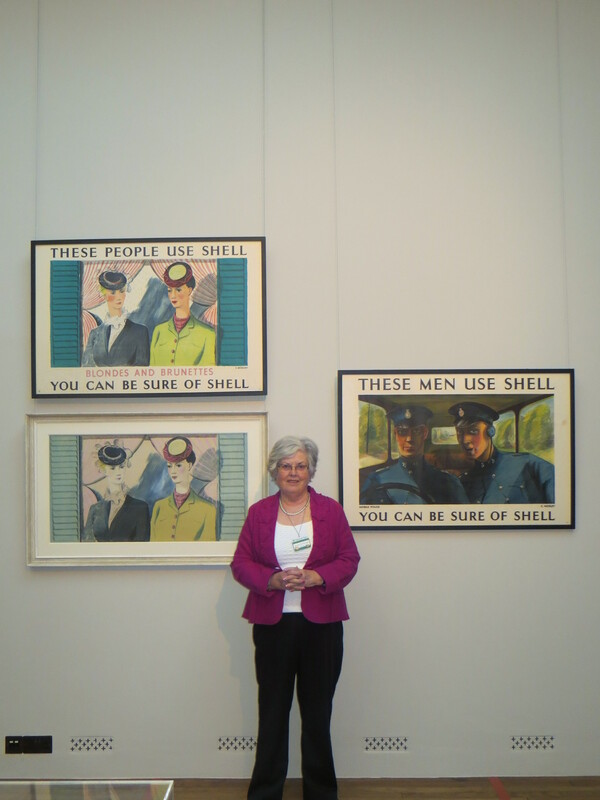 I’m Brenda MacDonagh and I’m in my 12th year as a Volunteer at Upton House. I’ve enjoyed (and continue to enjoy) every minute of it, as there is always something new to learn. Having studied and become familiar with Viscount Bearstead’s vast and extraordinary art collection in the main house, we are now challenged with a regular set of new exhibitions to explore and research for our dedicated exhibition space, the Squash Court Gallery. Mozley was a prolific illustrator of both adult and children’s books and book covers – from titles by Iris Murdoch to Black Beauty and Tom Sawyer. I’ve searched second-hand bookshops and my own collection for some of his work, with success. This process has certainly made me look at the ‘art’ of book illustration in a whole new light! Why not have a look through your book collection, specifically at books from the 1950s to the 1970s. Can you find any Mozley gems? The highlight of my googling was coming across an article by Paul Atterbury (Antiques Roadshow), who happens to be a great fan and collector of Mozley. His interest was fostered when as a boy he met Mozley who was visiting the Westbury Press, owned and run by Paul’s father. Due to concern regarding copyright, I rang the publisher and was put through to Francis Atterbury, Paul’s brother. He spent some time on the phone sharing amusing anecdotes and a wealth of interesting information. Mozley, it seems, was a flamboyant character and perfectionist, who would fall out with publishers if they took ‘short cuts’, and would demand they remove his name and send his fee to the Artists Benevolent Fund! 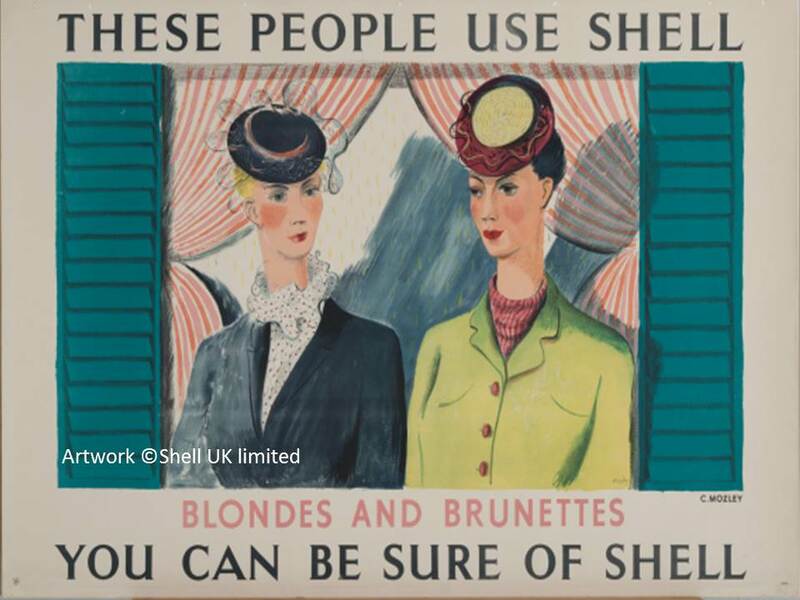 It seems fitting that on the centenary of his birth, the curators at Upton House have chosen to include Charles Mozley and his work in the forthcoming exhibition of Shell posters. After researching and exploring Charles Mozley and his work, I’ve become a fan, not only of his art, but also of him as a person. As an alternative to TV this really is a great way to spend one’s retirement! Very interested in your research into Charles Mozley. He illustrated a book about Winston Churchill’s funeral, the final one of which has his coffin on the boat I own the Havengore. It’s a great impressionistic picture of the cranes coming down. With the 50th anniversary in a few months time I would like to get permission to use the image from his executors. Any thoughts? We know the book, we have it in our exhibition for people to read! It might be best to contact the publishers of the book directly, Unicorn Press?